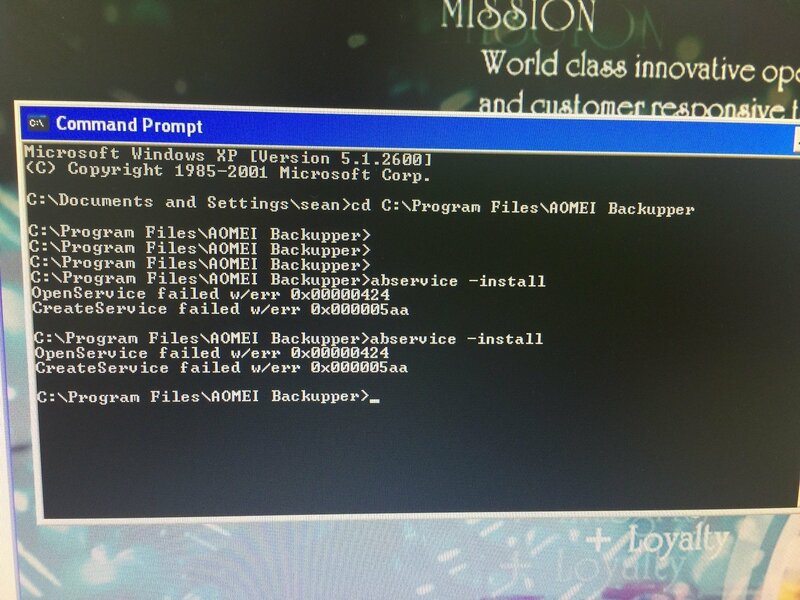 After installation, there is no "AOMEI Backupper Schedule Service" in the services. Is the reason that backup won't start ? Did you encounter any error messages while backup? I tried to install the service manually, but error comes up as follow. I mean the error where "backup won't start".